Flower girl dresses under $50. 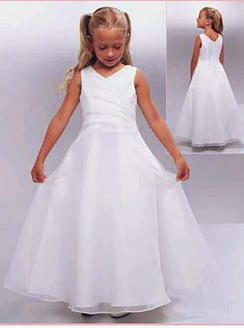 Long white draped bodice cheap flower girl dress, on sale for $40.00. Save $100 on this delightful long white girls dress ready for your next special event, at a excellent cheap price.